New aggregated data from the gurus over at A Better Route Planner show that Tesla Model 3 efficiency is the highest of any production car at highway speeds, with outstandingly low energy consumption. 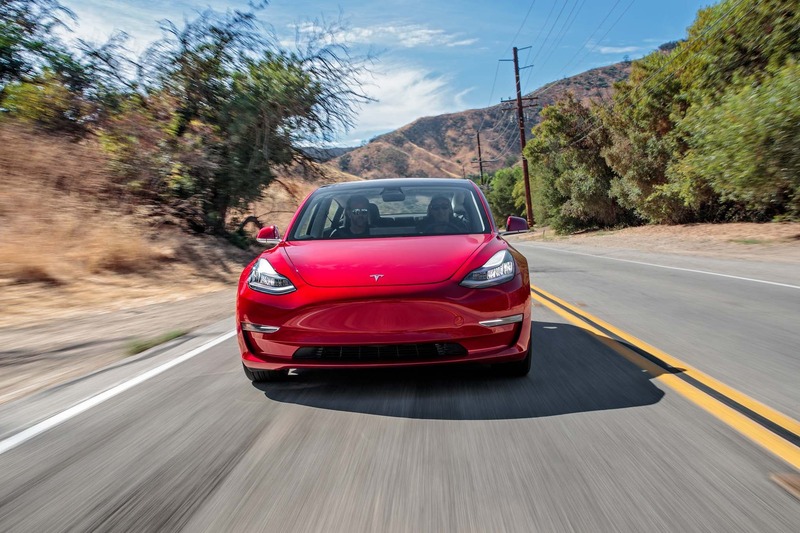 This outstanding efficiency, combined with great Supercharging speeds, makes the Model 3 the best road tripping EV in production. 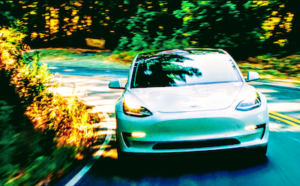 According to EPA highway efficiency ratings, Tesla Model 3 efficiency in highway conditions (123 MPGe) is better even than that of the Hyundai Ioniq (122 MPGe), a much smaller, lighter, and less powerful EV with much lower range. However, the MPGe figures are a bit of a fudge, and it’s hard to get good-quality real-world data on vehicle efficiency (for both EVs and gas vehicles). Manufacturer claims are usually wildly exaggerated, aided by the confounding inaccuracy of official test data from the EPA, the WLTP, and the appalling (though now thankfully almost defunct) NEDC rating schemes. 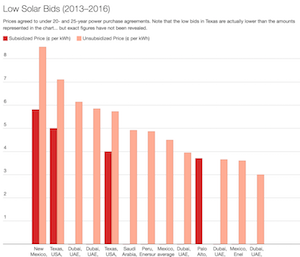 The EPA ratings come closest to reality, but are still often overly optimistic and can be fudged for marketing purposes. To be fair, absolute efficiency does depend a great deal on a wide multitude of environmental variables which are necessarily different on every route and even every drive. This means that there can not be one “absolutely correct” range/efficiency figure independent of the specific conditions of a particular journey. However, that does not excuse the fact that WLTP ratings (to a lesser extent) and NEDC ratings (to an absurd extent) are way over-calibrated and never nearly achievable in real-world driving. 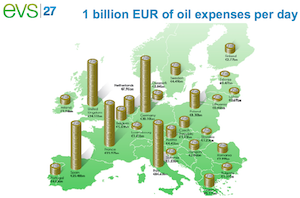 These rating agencies are to the car industry what the IEA is to the fossil fuel industry — thinly veiled support for the big players to continue their damaging and abusive practices. 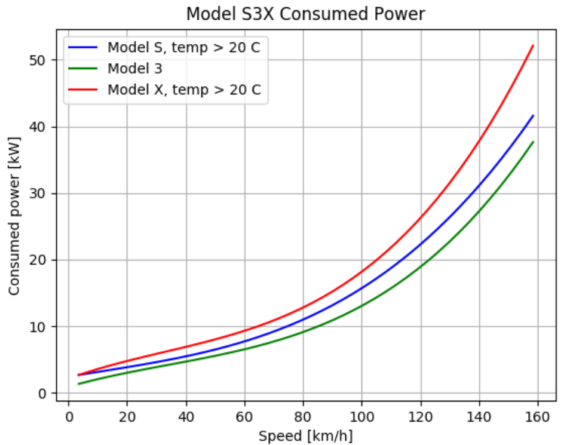 To give just one contemporary example, when Top Gear recently tested the Jaguar I-PACE’s range, their engineer contact at Jaguar admitted that the vehicle would have to be driven at a steady 45 mph with all auxiliary systems turned off (no AC, no heating) to get anywhere close to the official 298 mile WLTP range. Even when enduring such discomfort on a long summer road trip, the testers could only achieve 294 miles of range equivalence, and estimated that realistic highway range would be well under 200 miles. 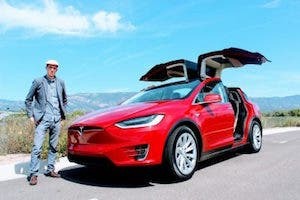 We don’t yet have WLTP figures for Tesla vehicles. The EU’s WLTP rules state that, “WLTP will apply to all new car registrations from September 2018” but that “EU measures for end-of-series cars allow for a limited number of unsold vehicles in stock that were approved under the old test (NEDC) to be sold the following year, that is until September 2019.” This latter clause will be used by some manufacturers to continue to fudge things for a while longer. Tesla’s vehicles are top of the class for efficiency, so Tesla has less motivation to dither and delay than all other manufacturers. When every vehicle is subject to the new, tougher (but still inadequate) WLTP grading system, Teslas will still be leading the pack. 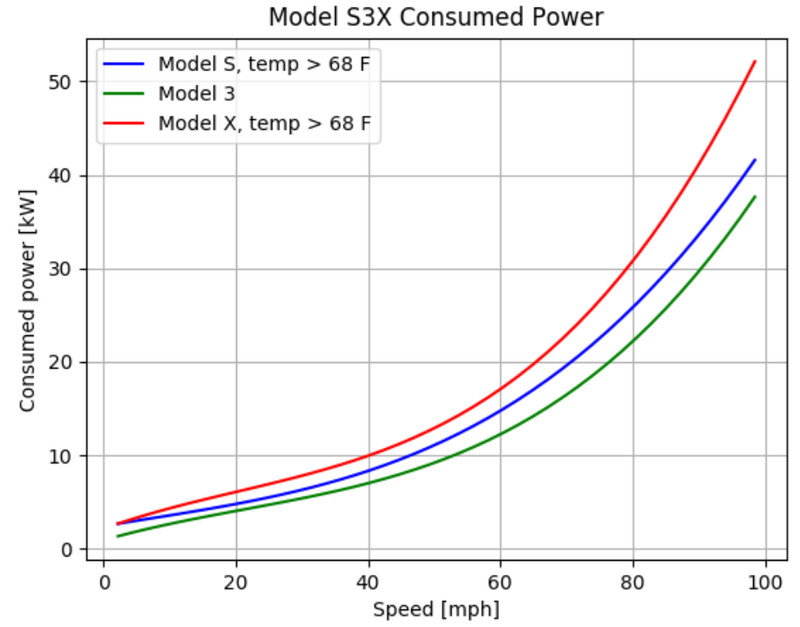 We do already have reliable real-world data on many of the Tesla models, though, thanks to Bo, the lead creator of the excellent A Better Route Planner (ABPR) tool, and the rest of the team over at ABPR. As well as giving highly detailed and accurate route planning, ABRP users can contribute logged data to the team. 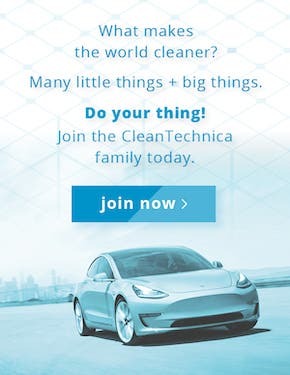 Originally, this was set up for Tesla vehicles and owners, but now Chevy Bolt owners can get involved and the facility for owners of other EVs to contribute data is in the works. 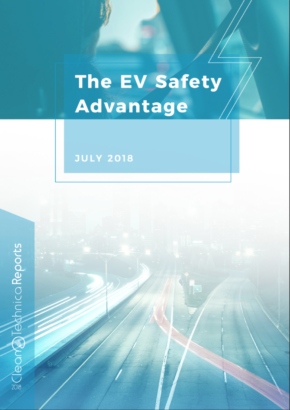 This is currently one of the most unbiased methods to contribute real-world data and see aggregated results for real-world EV efficiency. So the overall winner in that road trip race is clearly Model 3 Long Range. Although the Model 3 has the best overall trip profile, clearly, all of the big-battery Tesla models are great for road tripping thanks to their relative efficiency, range, charging speed, and the good distribution of DC charging points (i.e., the Supercharger network). 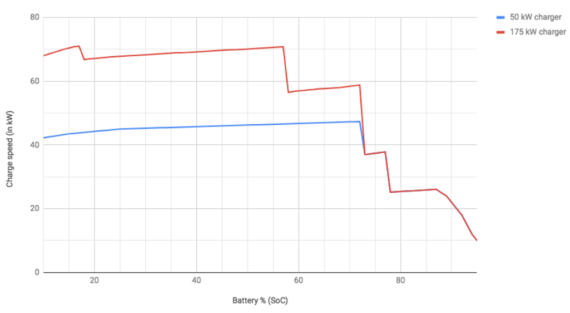 The Tesla’s recharging figures (the green sections in the graphs) will be reliably achieved, whilst the Kona will be limited to the 50 kW DC chargers (the left most column) in over 95% of cases, and only rarely encounter 175 kW charging infrastructure (the middle column). 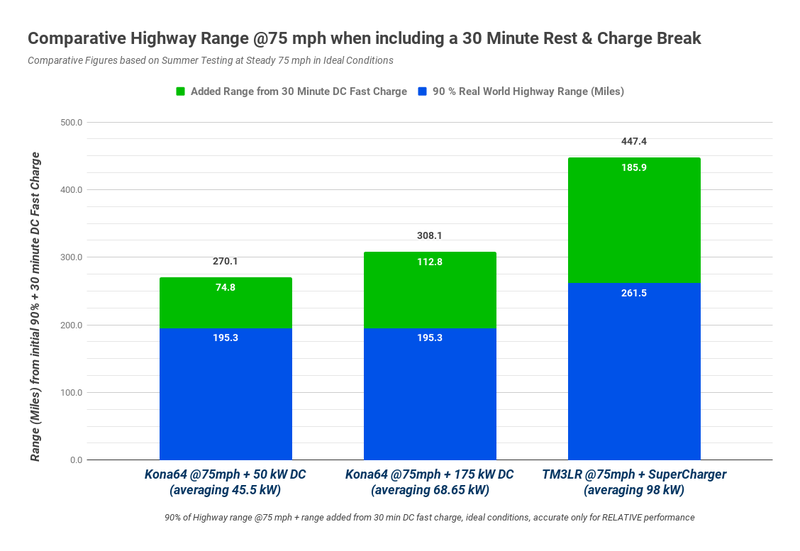 So, whilst the Model 3 will typically pick up 186 miles (299 km) of highway range from a 30 minute charge, the Kona will typically pick up only 75 miles (120 km) over that 30 minutes. In 2 or 3 years time, a decent portion of 30 minute DC charging stops might add 113 miles (182 km) to the Kona’s range. Note also that the Kona is being produced in comparatively low volumes, in large part because Hyundai (along with most other non-Tesla manufacturers) is losing money on its EVs. However, the Kona is still a great value EV for those who manage to get a hold of one, by far the best of the non-Tesla EVs currently available in terms of practical range and efficiency. 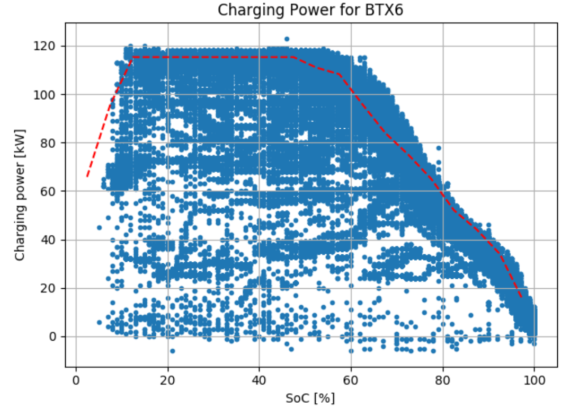 Check out the original aggregated data from the team at A Better Route Planner and consider contributing your own data samples to help them out, so they can help all of us out with solid EV efficiency and range data. Dr. Maximilian Holland Max is an anthropologist, social theorist and international political economist, trying to ask questions and encourage critical thinking about social and environmental justice, sustainability and the human condition. He has lived and worked in Europe and Asia, and is currently based in Barcelona. An Electric Bike That Reads Your Mind?